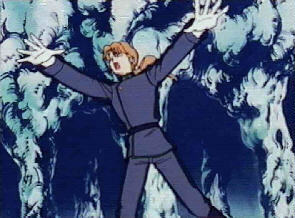 Zoisite is surprised, but reacts quite fast and tries to blast them. 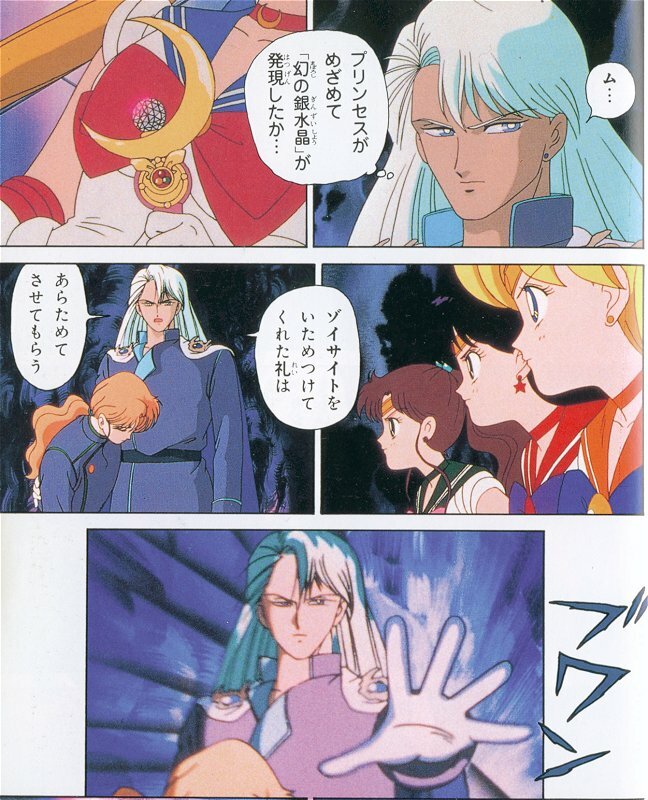 But Sailor Moon raises her Moon Stick and the Silver Crystal sends a powerful beam that violently blows Zoi against the wall. 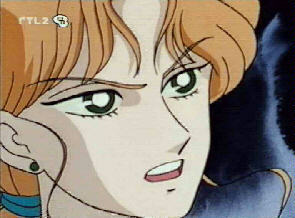 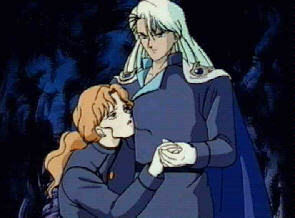 Both Sailor Moon and Mamory suddenly remember who they were (Serenity and Endymion), and their love. 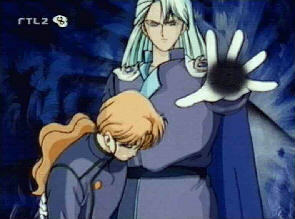 Then they both pass out. The Senshi gather around them. 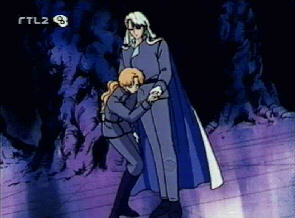 Zoisite manages to stand up though he seems quite shaken. 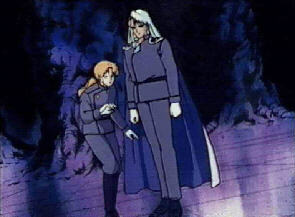 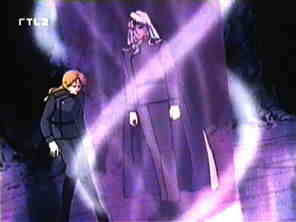 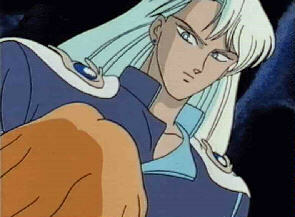 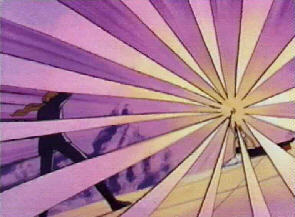 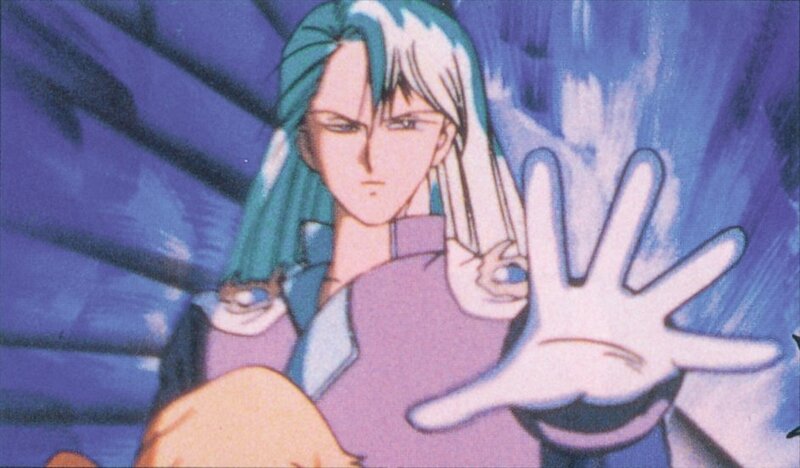 As he stumbles on his feet, Kunzite materializes near him and Zoisite leans against him. 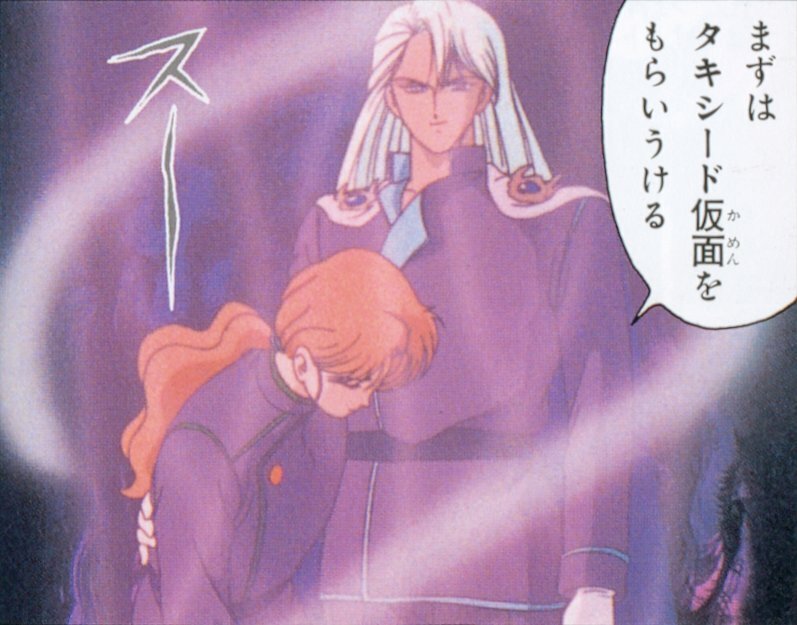 Kunzite holds his hand (it does happen to him to show some care, after all), and Zoisite tells him what he understood : that Sailor Moon is in fact Princess Serenity, and that her power just awakened. 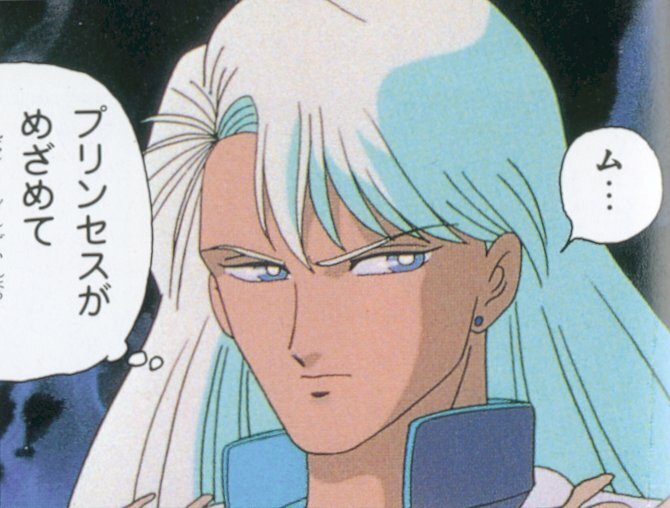 Kunzite then knows why the Silver Crystal was reborn also. 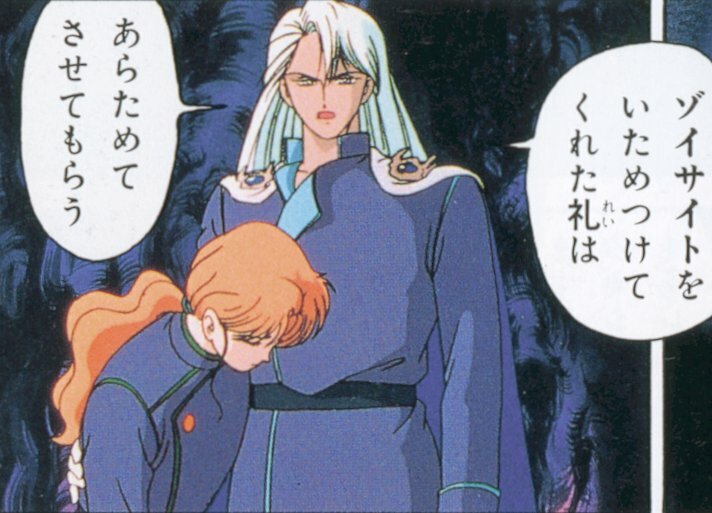 Holding a weakened Zoisite, he tells the Senshi that he'll take care of them later, and sends a blast of power which distracts them, but in fact is focused to teleport Tuxedo Kamen (or more exactly Prince Endymion) to the Dark Kingdom. 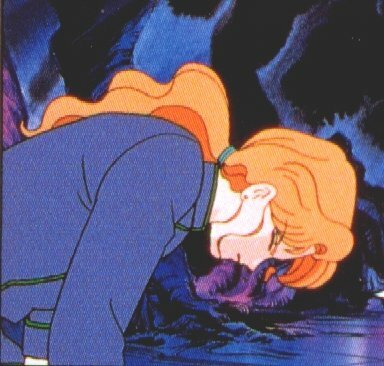 And they all vanish, leaving the Senshi confused.